With his inimitable calm presence, John told us during his talk on March 31st about the time he and his team stumbled across Osama bin Laden and some of his followers in Afghanistan - when bin Laden offered a man $500 dollars to drive his truck over John. The man thought about it for a while but then declined. Of course, John was quite relieved that he wasn't flattened - but what irritated him as much, he said, was that bin Laden thought his life was only worth $500. 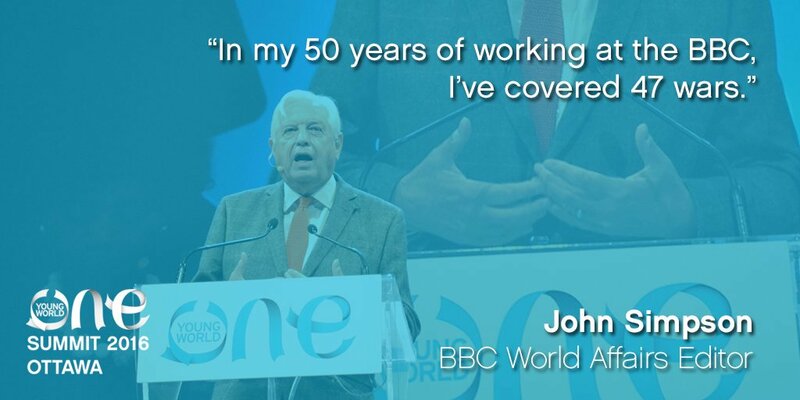 This was just one of the many fascinating stories that John, the BBC World Affairs Editor, shared with us - mostly extremely serious, but also shot through with a self-effacing English modesty, tinged with humour. 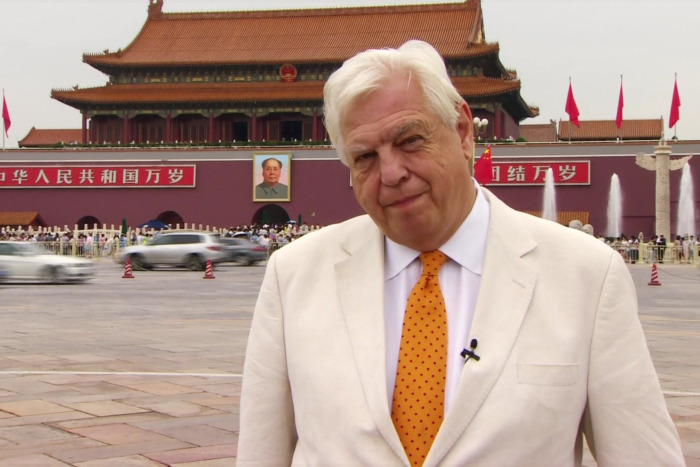 Equally extraordinary was the time John and his cameraman were covering the Tiananmen Square protests in Beijing when the authorities persuaded an army general to send in the troops - and the killing began. The two men ran for the sanctuary of their hotel, only to find the security forces milling around. They barricaded themselves in their room, taking care not to venture outside after a South Korean journalist was shot on the adjoining balcony, but then decided to try and escape, with John putting the video-tape of the events inside his sock and trousers. He found himself in the lobby, surrounded by secret-police and with the tape-holder starting to clank as he limped along. He thought he was bound to be rumbled but, just at that moment, gunfire broke out in the street and the police were distracted and he was able to scuttle away, clanking as he went. After initially laying down in the gutter, he managed to escape and finally managed to get the film out of the country and broadcast around the world. Again, it was an extraordinarily dangerous situation, but John still managed to find humour in the situation. On a more pleasurable level, John described his journey deep into Amazonia, as far as the border with Peru, and spent time with a remote tribe, who gave him and his crew a warm welcome. At night, one of the elders started mixing roots and leaves from plants, crushing them into a liquid - and offered a bowl to John. For quite a while, nothing happened and he thought he was immune to any influence, but then the Moon and stars started to pulsate, the trees seemed to bend over and touch one another and, quite magically, a six-feet tall goldfish wearing a straw hat and sunglasses emerged from the water and put its fin around John. It was at that moment that he knew the potion had, indeed, kicked in. The experience only lasted a short time but John was pleased he was able to control it, going in and out of the hallucination when he wanted - and so he felt quite secure. In the near future, John plans to visit the tribe again for a film, although he doubts many of those he met will still be alive as the average life-expectancy is only about 32. 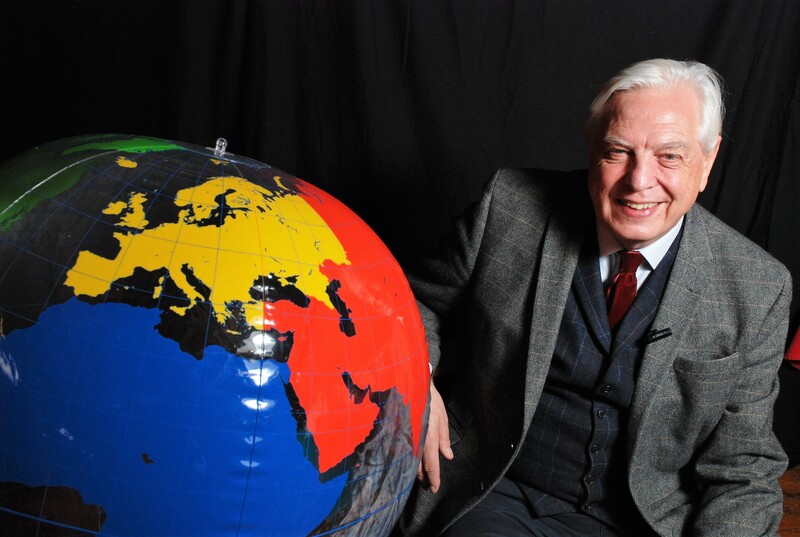 Also in the plans is a month-long trip to Tibet to make a film about one of the world's most secretive countries - of course, it is still under Chinese control and John acknowledges it will be an extremely testing project, but one which still appeals to him greatly at the age of 72. However, John said the BBC (where he has worked for 50 years and reported on 47 wars) is now extremely strapped for cash, with cuts constantly taking place, and overseas work is much more limited than in the past - like in the days when he and a crew would cover events in Iran for a few weeks before returning home and then heading back again after a period of recuperation. These days, such a productive rhythm simply wouldn't be possible - even though the public's appetite for news remains strong, with viewing figures for the Ten O'Clock News holding up well. But he added that there was little doubt that, in general, interest in world affairs is waning and he feared that the UK was becoming seriously insular. When asked about his most difficult assignments, he highlighted the many trips to Iraq following the invasion - witnessing all the death and destruction and the evidence that the invasion by the coalition forces had, indeed, been a disaster and that the price was now being paid. Another of the more distressing episodes was when he was the BBC South Africa correspondent and he witnessed the shacks of "coloured" (mixed race) people being razed to the ground - and the authorities threatening the BBC with expulsion for describing the machines used in the destruction as "bulldozers", rather than the correct technical term for the vehicle. Either way, they were used to destroy the homes of blameless people in a wretched act. However, on a far lighter note, he told of one his first jobs for the BBC in the 1960s when the Prime Minister, Harold Wilson, punched him in the stomach after he had approached him for an interview at King's Cross Station. 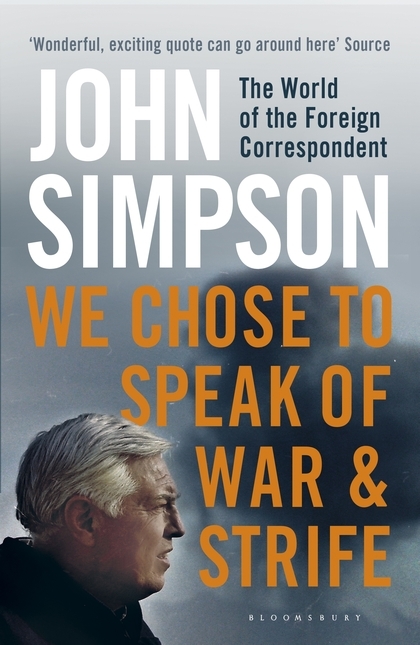 In the official BBC written account of the exchange, the report simply reads: "John Simpson said: Aaaaargh!" John told us he has always kept meticulous notes of all his assignments over the 50 years since his first days working for the corporation and these are being given to his alma mater, Magdalene College, iCambridge. Over 130 people packed the hall for John's fascinating talk, delivered with all the charm of the urbane Englishman - and he sold and signed many copies of latest book, We Chose to Speak of War and Strife: The World of the Foreign Correspondent, the 15th book John has written, including two novels.